TERRE HAUTE — The sand-colored brick ranch with expansive windows, a manicured lawn and red geraniums in a neighborhood that blends established homes and new construction may have looked like a sound investment. But now, a Crisis Cleaning van is parked in the driveway, and the house is temporarily off the market. Though the exterior of the home is pristine, the inside is toxic, the site of a former methamphetamine lab. 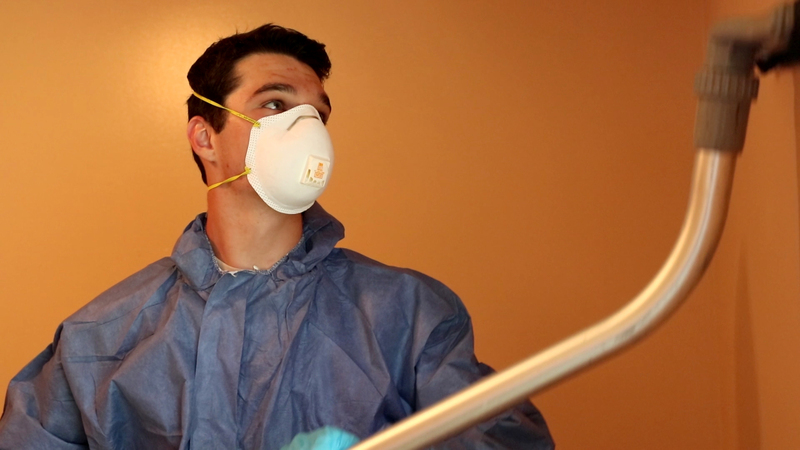 It’s a hidden health and environmental hazard that requires expensive, comprehensive cleanup. Indiana has led the nation in methamphetamine labs busts since 2013, earning it the nickname “Meth Capital of the World.” While the health risks and legal implications of meth use are widely known, homebuyers might not be aware of the environmental hazards posed by former lab sites, nor of the costly cleanup required by law when meth labs are discovered. According to the Drug Enforcement Agency, the production of every pound of meth results in the byproduct of five to six pounds of toxic waste. Lab operators dump the waste into bathtubs, sinks, toilets and the ground, which can lead to water and soil contamination. Meth production also releases an invisible toxic gas that coats surfaces and can lead to health risks if not properly cleaned. Living in a former lab that hasn’t been cleaned can cause health problems, including disorientation, breathing difficulty, behavioral changes, and kidney and liver damage, said Indiana State Department of Health spokeswoman Megan Wade-Taxter. Children and the elderly are at greater risk of developing meth-related health issues. Meth’s prevalence can be partially attributed to ease of access. Unlike many drugs, it is easy to gather the chemicals to manufacture meth at local stores. The main ingredient is pseudoephedrine, a drug used in over-the-counter nasal/sinus decongestants. The process takes about an hour. Manufacturers combine the ingredients and “cook” them in a vessel, most commonly a plastic bottle. The plastic bottle must be “burped” to release pressure. Otherwise, the pressure builds in the bottle, which can cause an explosion. “I have seen houses burned to the ground from one little bottle,” Rohlfing said. Releasing the pressure, as well as a final step of adding sulfuric acid and salt — which change the liquid to a crystalized form — is what releases the invisible toxic gas that coats the lab’s surfaces. As a state-approved remediation service and inspector, Crisis Cleaning must complete required training, demonstrate experience in biohazard cleanup and hold $3 million in pollution insurance. Proper cleanup requires disposal of all porous items, such as carpet, padding, window coverings, bathroom exhaust fans and kitchen range hoods. Next, Held said, the crew uses a high-efficiency particulate air vacuum, which can trap 99.97 percent of all airborne particles, to thoroughly clean every inch of the property. Finally, the crew applies disinfectant to surfaces to remove meth residue. If a structure has a septic tank, the crew will also pump it out to remove chemicals that may have been dumped down the drain and to reduce possible groundwater contamination. 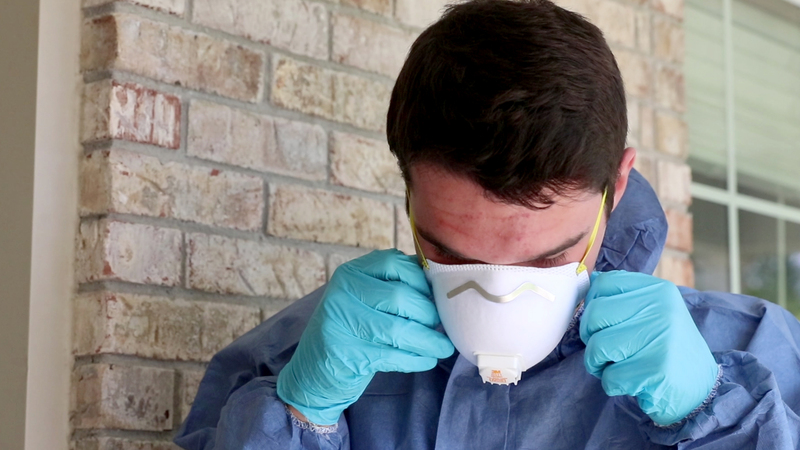 When police identify a meth lab, they report it to the county health department, which informs the property owner and provides a list of qualified inspectors. 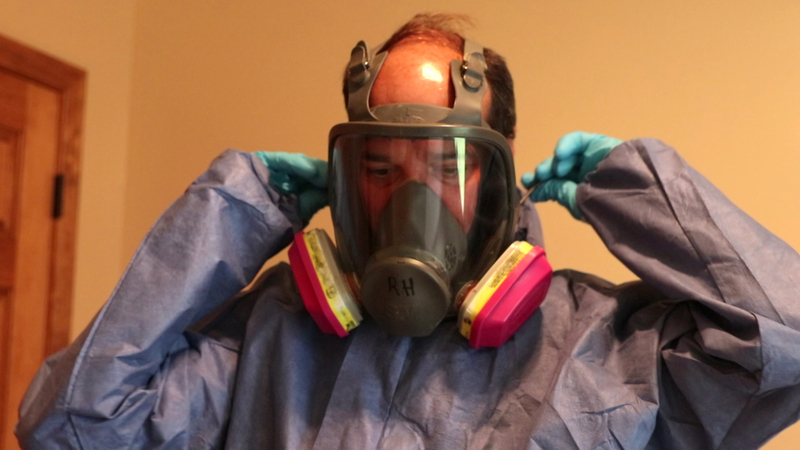 If the property tests positive for meth, state law requires the property owner to provide documentation of cleanup to the county health department before anyone may inhabit the home again. The health department reports the status to the county auditor and treasurer, who prevent any sale of the home until documentation of cleanup has been provided. An average cleanup costs the property owner $5,000-$10,000. 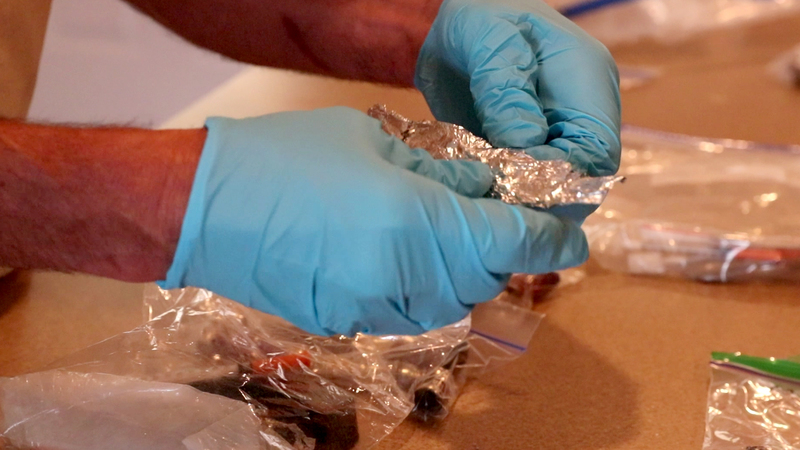 Sometimes, renters and new homeowners suspect they might be living in a clandestine former lab that was never discovered by police. In this case, an occupant can check with the county health department and Indiana State Police to see if they have any records of activity at the property. If the occupant is still unsure, a meth testing kit from a company like Crisis — which costs about $50 — can provide some clarity. While meth use is rampant in Indiana and throughout the Midwest, meth lab production is down, according to ISP numbers. In 2017, ISP seized 387 labs, compared with 1,808 in 2013. “We have moved from the meth lab days, as we call it, to the crystal meth days,” Rohlfing said. Rohlfing said crystal meth is produced by Mexican cartels and is cheaper and easier to get. But Held hasn’t seen the same decline. Rohlfing said many of the calls he receives these days are from a backlog of labs that shut down during production’s most recent peak in 2010-13. But he doesn’t believe the days of cooking meth are totally over. 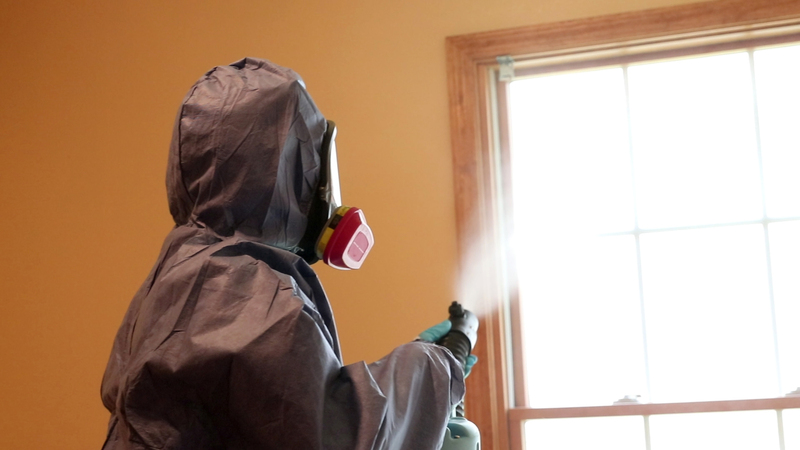 Held advises potential homebuyers to test for meth residue before buying a home. 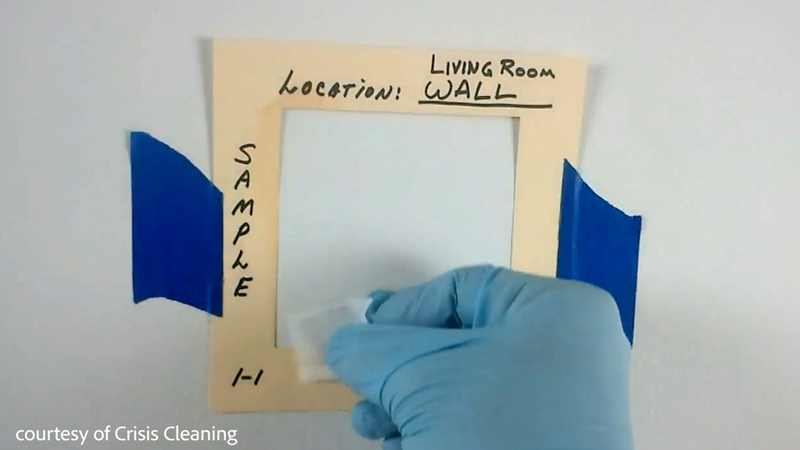 The test isn’t included in a standard home inspection, but consumer test kits are available from Crisis Cleaning and other companies. “A small test is much less expensive than buying a home and then getting stuck with the cost of cleaning it up,” she said.